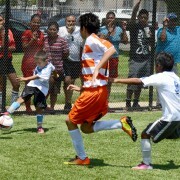 Soccer aficionados of all ages can now go out for quick dribble across the newly installed futsal courts at Lennox Park and Col. Leon H. Washington Park in the Florence Firestone section of Los Angeles. The futsal courts are a popular fixture in South America and Europe where soccer is king. But in the U.S., it is a relatively new phenomenon. Thanks to changing demographics, where there were once football fields, now there are pick-up games of soccer happening. 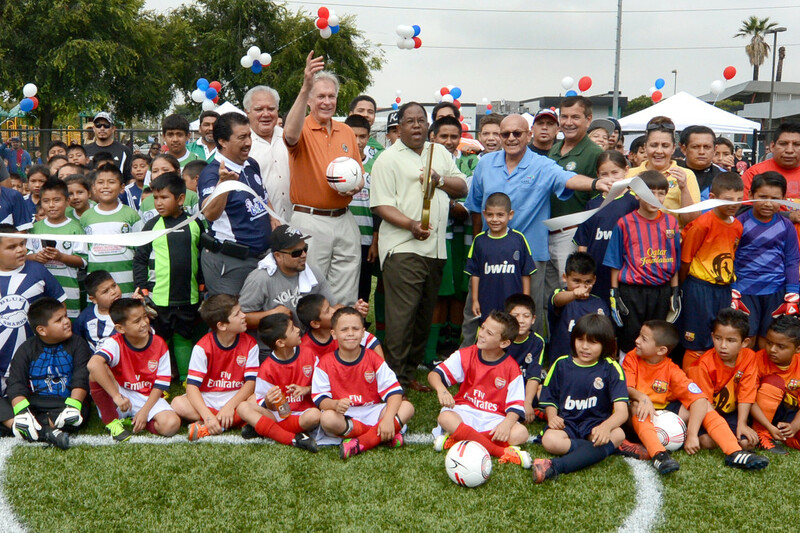 And so, in coordination with the Department of Parks and Recreation, the LA84 Foundation and the office of Supervisor Mark Ridley-Thomas, a total of four enclosed turf futsal courts measuring a quarter of the size of a regular soccer field, where installed. The courts, which are outdoors, are the first of their kind operated by the Department of Parks and Recreation. Groups will be allowed to reserve the area for tournaments, corporate events, clinics and pick-up games. The fields are open to the public and will be free, however there will be a low cost fee beginning in the fall. The game was developed in Brazil and Uruguay in the 1930s and 1940s as a solution to the lack of available soccer fields. It is usually played indoors on a hard surface. In the U.S., it is also called speed soccer and an official league was established in 1985. Futsal is fast and action packed, with lots of scoring and only five players on each side. 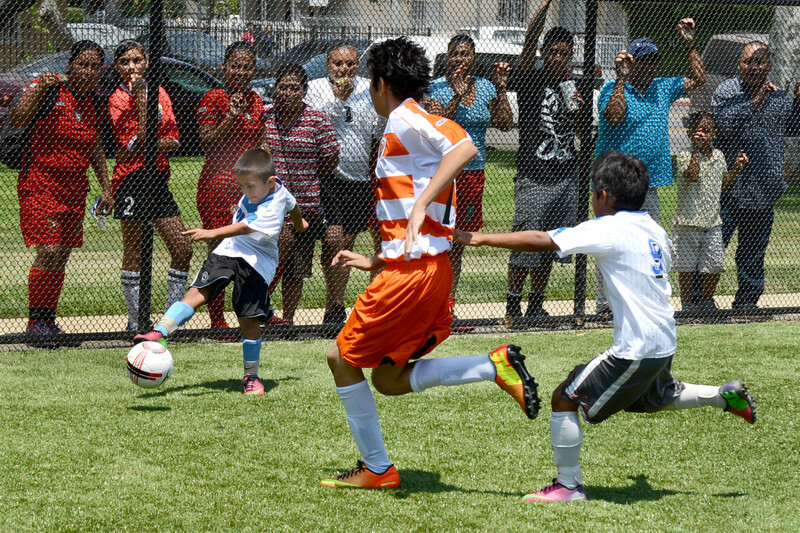 Rosie Gonzalez, a 19-year-old professional soccer player who grew up in Hawthorne and played at Lennox Park, said she wished she had these courts growing up. 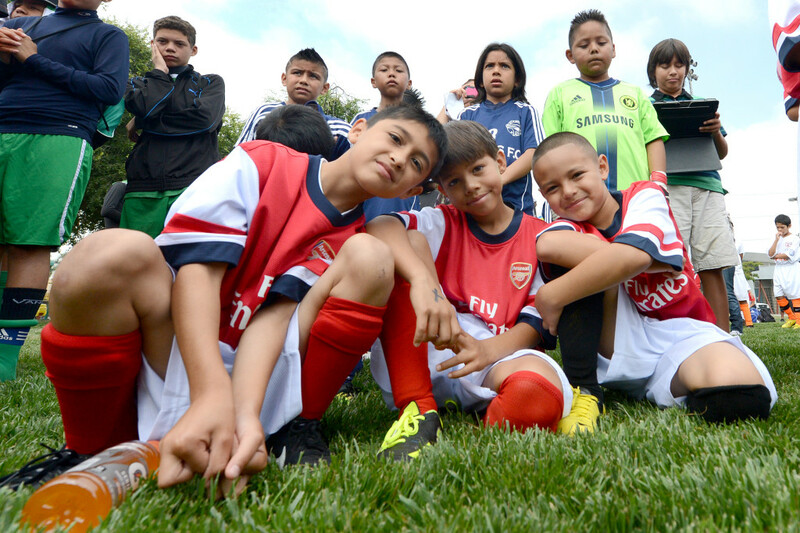 Bryan Luna, a 10-year-old midfielder for the Blue Sharks soccer team said he was excited to try out the new turf. “It’s shorter, so it’s cool,” he said as he scoped-out the field. His mother, Eva Luna, was also grateful for the clean and well-kept area where she could relax with her two kids. For Los Angeles County Supervisor Mark Ridley-Thomas, the renovated parks are a welcome addition to the community but also part of a larger effort to continue improving recreational facilities and the quality of life for all residents. Just like Florence-Firestone, residents in Lennox will soon have a master parks plan, a street improvement project as well as a new and improved library and community service center, which are scheduled to open in February 2014.